Of course you shouldn’t take the title of this article literally but it is a fact that Domino’s Pizza (DP) rewarded her managers who had the best results during a four week period with a Rolex Air-King which had the DP logo on the dial. 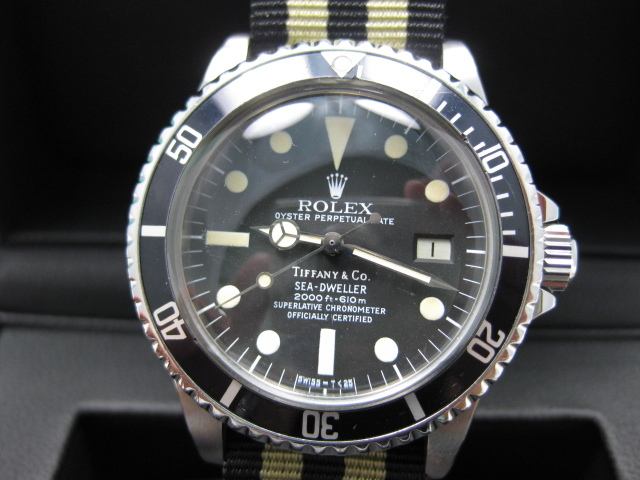 This ‘Rolex Challenge’ took place between the 1970s and 1990s. Several versions of the Air-Kings with the DP logo have been issued over the years. During the last five to ten years the DP logo was on the bracelet of the watch, at the ’6′ hour position. With all respect to Domino’s Pizza, it is still a mystery why Rolex made the deal to produce a special version of the Air-King for a company like this. For instance, a deal with Mercedes-Benz would make far more sense and it’s no surprise that several jewellers had their name on the dial. What makes the whole case even more interesting is the fact that Rolex even produced the dials with the DP logo. A jeweller like Tiffany & Co had to put their name on the dial by themselves. The Rolex history is filled with watches with a company logo on the dial. Coca-Cola, Anheuser Busch, Tide and Honda are examples of the variety of companies that have rewarded their staff with Rolex watches. When keeping in mind what status Rolex has and the whole aura surrounding the brand all these company logos on the dials look odd and make the watch look cheap. Hopefully future company watches will only have an inscription on the back.